In the last few months, we have heard of thirteen new graduating theses on the EoC, including 2 undergraduate degrees, 1 old-order four-year degree, 8 specializations and 2 doctorate theses. The aim of the thesis was to know and understanding the workings of a socially responsible EoC cooperative and prepare a strategic plan for its development. The four topics addressed included: a) the formulation of the mission, b) the analysis of the human, economic, territorial and institutional dimensions, c) the Internal SWOT analysis (detecting and evaluating resources and competences) and External SWOT analysis (environmental hypotheses and definitions of optimistic, normal and pessimistic settings), and d) reporting a management plan proposal. The analysis opened the way to creating a plan of strategic direction. Utilizing instruments of economic sociology to address “In what way in Brazil do religious organizations promote and support entrepreneurship among their members”, the thesis analyzes a case study of the Catholic Church, through the Focolare Movement, and the Evangelical Church, through the “Reborn in Christ” Movement. Research highlighted that a particular kind of social capital is created in such religious organizations, which as a whole facilitate entrepreneurial activity. These create a “system of meaning” that offers the entrepreneur self-esteem, hope and faith in the quality of his actions and specific technical services, linked to professional formation and national and international exchanges, which often lead to partnerships and relationships with new clients and suppliers. This thesis investigated which kind of contribution the EoC and microcredit can provide in the fight against poverty, and, as such models founded on the development of the human person, beginning from the grassroots, they can be paired with public intervention to allow the poor to reach self-sufficiency by developing their capacities and potential. After a phase of library research and having analyzed which types of poverty these two models fight against, the study focused interviews with EoC businesses and the Moscati Foundation for Microcredit in Campania, and various contacts for further research in the field were brought together. The study concludes that both microcredit and the EoC create beneficial effects in the areas of production, increased employment, income, consumption and worker participation – therefore, human development. Due to low productivity of the business activities financed through microcredit, it is not certain that this model secures long-term development. The thesis studies the relationship between the EoC and other experiences of alternative economy that consider economy within the wider setting of human flourishing. It concludes by highlighting the importance of creating networks that involve all actors linked to the project, and in particular, all those who receive aid for basic necessities from the businesses. May these relationship networks be built on a local and global scale inspired by a logic of “grassroots” functioning, which emerges as one of the most successful characteristics of the project. In managing touristic hospitality businesses that adhere to the EoC project, the thesis the relevance of personal relationships and their impact in relationships with clients, employees and all stakeholders in a business. The study, which also included a description of the business parks and especially of Lionello Business Park, analyzed the main aspects of the Focolare Movement and the EoC project, as well as underlining the importance of the concept of gratuitousness. The awareness that whoever works in an EoC business contributes to these greater goals through their work increases one’s feeling of belonging and provokes notable economic upturns. This thesis’s objective was to present the importance of the role of “intrinsic motivations” in the theory and praxis of the EoC. After having deepened the relationship between intrinsic and extrinsic motivations, the thesis describes organizations with ideal motives (OMI) in which intrinsic motivations are indispensible. 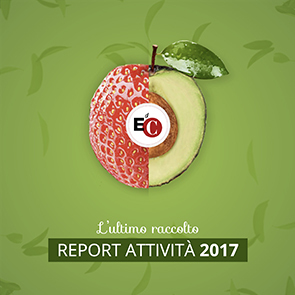 Finally, with the results of a questionnaire given to directors and employees of the fifteen EoC businesses at Lionello Business Park, the thesis analyzes motivations in order to identify the presence of the so-called “motivational spill-over effect”. The thesis analyzes to what degree the current market economy, having lost sight of man, is at the origin of environmental detriment, food insecurity and cooperation to development. What emerges is that only a humanizing economy, which places the human person back at the center of its actions can resolve the thorny problem of the environment and cooperation to development. Today, the EoC represents unprecedented hope for a more just and more fraternal world capable of overcome these challenges, as it puts the integral good of the human person at the center of its action. The thesis utilizes mathematical graph theory to analyze the network of relationships within organizations, with particular attention to those which have very significant relationships, which are called “hub” or “concentrators”, subjects of vital importance for any kind of organization. Under the economic perspective, the thesis therefore analyzes the characteristics of workers that work in organizations with ideal motives in which intrinsic motivations and values are included in the business mission.Sophia University Institute, as an institution with motivations that go beyond academic studies, was the object of inquiry through a questionnaire completed by 70% of the people there. The network was designed and the conclusion was drawn that there are a number of significant-type relationships among professors, staff and students. What inspired this thesis was the observation of a certain consonance between the EoC, Social Economy and Solidarity Economy. Analyzing the experiences of these three expressions of alternative economy, the thesis concluded that, despite notable differences, the link between the three experiences exists and is strong. In the post-modern movement of research of a new post-capitalist economy, these three experiences have much to offer to building a more human and humanizing economy. Now that the EoC has reached the church and the world, also thanks to the mention given to it in the encyclical Caritas in Veritate, the hope is that it can collaborate always more to the spreading of the culture of unity, widening its own horizon without renouncing its costly and courageous faithfulness to the charism from which it was born. The complexity of the social questions posed by new carriers of needs makes new balances a priority in traditional systems of the social state. In the current process of transformation, the appeal to forms of subsidiarity that value always more local action and private subjects is growing. The thesis discusses the Welfare Society, a set of activities that reinvest without distributing profits, generating in this way public utilities for all. In this new context, there is always more space dedicated to the value of reciprocity and relationality, both by the ethical and social point of view as by the economic viewpoint. This thesis analyzes the relationship between “happiness” and “relational goods”. After having discussed the various theories related to the relationship between happiness and economy, there are three particular “economic experiences” described: that of the Franciscan economy, that inspired by the guidelines of the social doctrine of the Catholic Church, and finally the experience of the Economy of Communion.What comes into light is the importance of human values in peoples’ happiness and the relatively limited role that consumption and income have, compared to those of relational goods. If one aims at changing the current economic vision, towards greater attention to the person, the economy of communion represents a step in the right direction. The recent economic crisis has highlighted the difficulty of current economic models in foreseeing what happens and their inadequateness in providing economic and political indications for overcoming the crisis.It was evident that markets are not capable of self-regulation, if not in rare and particular conditions, which imposes a radical paradigm change, renouncing the current vision of economics formulated on the rationality of a self-interested economic agent.An interesting and promising proposal in this sense is that of the “civil economy and economy of communion”, cited by Benedict XVI as an alternative with great potential for its general applicability to the reality of business affairs.To this end, it is necessary to identify legal and fiscal configurations that allow in various national realities the development of new forms of business, which seek profit not as an end in itself but as a humanizing instrument of the market and of society, theorized, and in some way already practiced in the environment of the economy of communion.